Welcome to our first interview in our showcase for the wonderful world of stand up comedy. We are kicking things off in a major way by sharing some words with the absolute legend in the world of comedy, the pride of Portland Oregon, the amazing Matt Braunger! This is a guy who has been entertaining audiences in so many different formats. 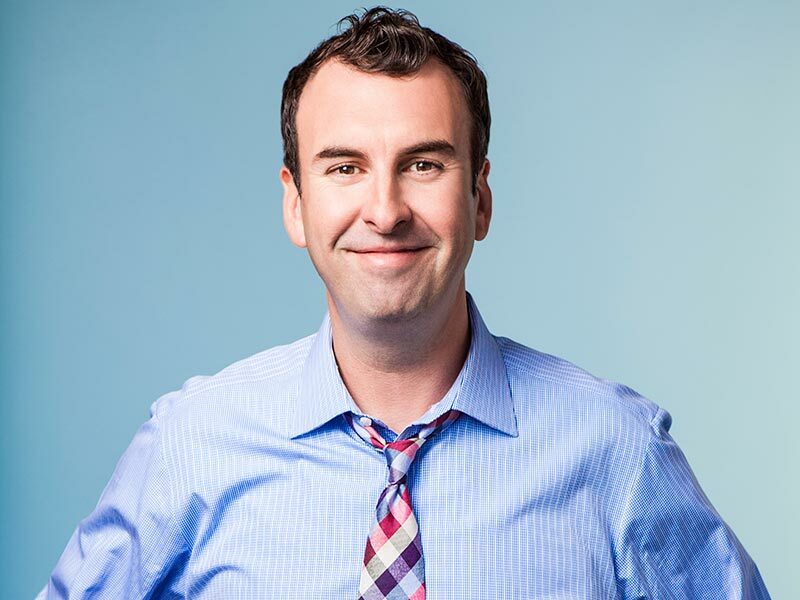 Whether he is headlining clubs across the country, or just being all around hilarious on television, Braunger is an absolute legend! And to know that Matt hails from my own backyard in the Pacific Northwest is such a damn good feeling. In fact, coincidently most of my favorite comedians are either from the Northwest, or have spent years working in the Portland comedy scene specifically. Some of them have already been mentioned in this showcase, and will most likely be mentioned again! But even these young cats in the game that I love so much would be the first to tell you that Matt is a wonderful influence on the world of comedy for very obvious reasons. Also as just a side note, Matt was the key subject to one of the greatest episodes of Getting Doug With High that I have ever seen! Seriously folks, he gets high almost INSTANTLY alongside a skeptical Jim Jefferies. I can not recommend it enough. Also, he is another TWS guest who appeared on an amazing TV show that was taken off the air far too early! That show was Up All Night, and we will definitely discuss that below. So Folks! 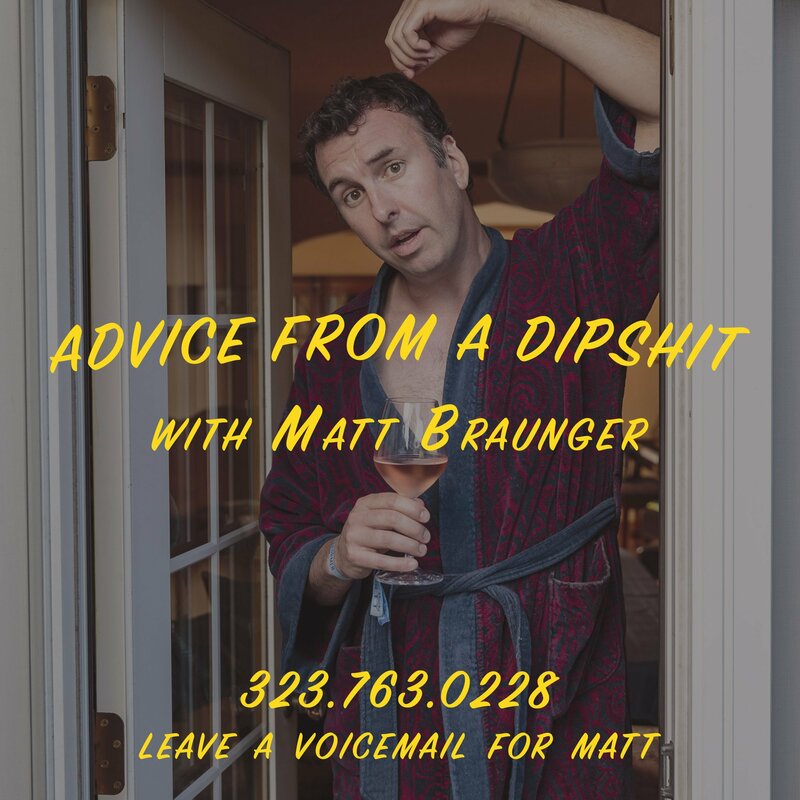 Please enjoy some great words from the brilliant Matt Braunger! When did you first discover you that you wanted make people laugh for a living? What drew you to the world of comedy? Being an old child class clown as a child. And later, in Chicago, I just found I was good at it and that it was something people did. I tended to think of it as this esoteric thing, even though I was an actor at the time. I’ve come to learn that you are one of the folks responsible for the incredible Bridgetown Comedy Festival in Portland, Oregon. I’ve only heard wonderful things about this festival and some of my favorite comics have been there. So, what inspired you to start this festival? And what was it like getting it together that first year? It was a labor of love with a lot of great people. Andy Wood (the co-founder) used to open for me back in the early aughts. One night he just asked if he should start a festival and I said, “Yep, and I’ll help all I can.” That first year was just so grass roots and nobody in the city paid it much mind. Now, though it’s currently on hold, it’s the comedy event of the year there. I always like to ask comedians a little bit about their life on the road. So, when it comes to cities you have worked in, what are some amazing cities to do comedy in that might surprise people? Fort Wayne, Indiana has a great little scene and some cool folks putting on shows. And Madison, Wisconsin has one of the top five comedy clubs in America. Your performance on the far too short-lived series Up All Night was absolutely phenomenal. I loved the show, right to end when I was holding back happy tears when that montage with The Weepies song. And then I was so sad when it didn’t come back. But, for when it was happening, how was your experience working on this project? Was it as fun to work on as it was for me to watch? Thanks, Man. It was a dream, especially because Jean (who played my wife Terri) and I were only supposed to do one episode. The writers liked us so much that they wrote us in again and again. I loved playing with Christina, Will, Maya, and everybody else. 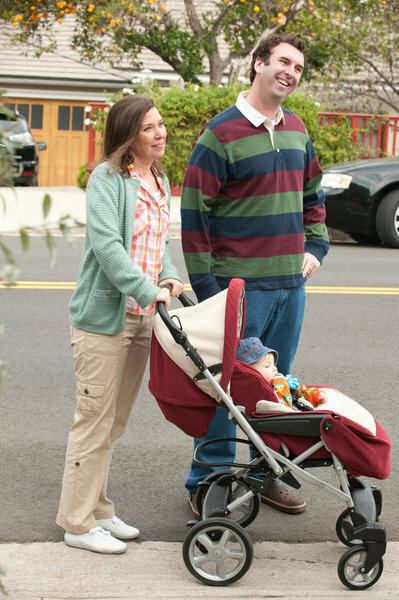 Honestly, I just think it wasn’t promoted correctly, because ‘parents who still want to party’ (which is what the show was) is a huge demographic. After all of your years in the world of comedy, I am curious to know what your thoughts are on all of the changes that have occurred within your business since you first began doing stand up? Jeez, where to begin. I’ll just speak on stand-up. There are more platforms to watch stand-up than ever before, and that’s a good thing, but thankfully you can never fully recreate the live experience. That’s where stand-up lives and breathes. Some comics think the stand-up bubble’s going to burst, but people still come to shows, still need that release of being in the room when it happens. So I don’t think it’s going anywhere. And also after all of these years, what is it that you still love about the world of stand up comedy? What keeps you motivated beyond monetary compensation? I love that it even exists, and that I get to be a part of it. I’m grateful every day of my life that I’m a comedian. Even though I never tell lyft drivers why I’m going to the airport. My podcast Advice from a Dipshit with Matt Braunger is a thing I’m really proud of right now. People call 323-763-0228 and leave a message, my producer Amanda picks the calls, and I listen to them during the podcast recording and answer them as best I can. It’s kind of a Dear Abby for Millennials (and everybody else) from a guy who’s made a ton of mistakes. It’s funny, but I’m honestly trying to help. Also, my new special Finally Live From Portland will come out later this year. A photo of a wiener dog in a beekeeper’s outfit. Matt is always moving around the country making people laugh and smile, which we have established is a good thing. Check out some dates below, and be sure to check in at mattbraunger.com for updates and other cool stuff he has done.